We produce a lot of waste. In 2008 alone, Americans generated 250 million tons of trash, and though about a third of that was recycled, a lot went into landfills or was incinerated. Our culture is centered around disposability, and only we have the power to change that. Take stock of the disposable, overly-packaged, and single-use products that you use, and then look for reusable alternatives. Not sure where to start? Here are more than two dozen items that many people use . . . and can easily live without. Tin foil — Use an oven-safe pot or dish with a lid. Plastic wrap — Instead, use a container with a lid. Disposable cleaning cloths, dusters, etc. — Use a microfiber cloth that can be washed. Paper towels — Use a tea towel, instead. Disposable pens — Buy a good pen that only needs the ink well changed. 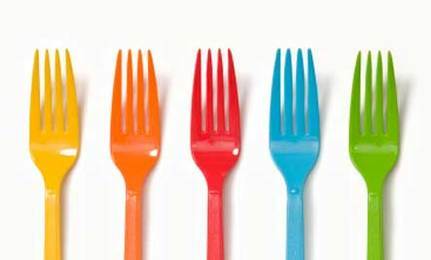 Plastic cutlery — Use the metal stuff. Paper plates — Washing dishes may be an effort, but it’s worth it. 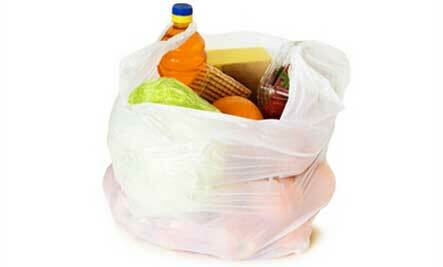 Paper or plastic single-use grocery bags — Get a few reusable bags. Packaged fruits and vegetables — Produce does not need to be packaged. Individually wrapped snacks — Snacks travel better anyway in a hard container. 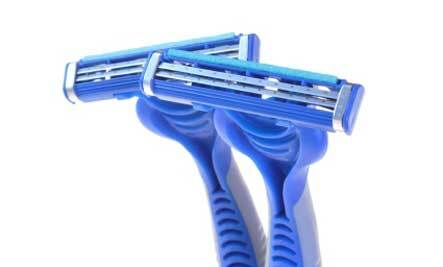 Disposable razors — Invest in a razor that only needs the blades changed. Juice boxes — Put juice in a reusable container (not plastic). Electric pencil sharpeners — Use the hand-crank version of days gone by. Disposable diapers — Cloth diapers aren’t that much more difficult to use. Disposable cloths — Fabric cloths can be washed regularly to avoid bacterial or viral build-up. 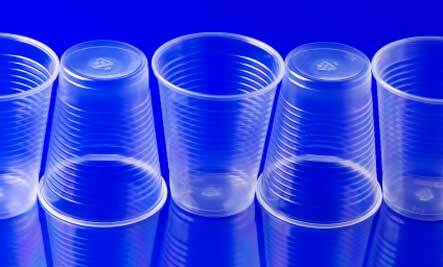 Plastic cups — Stick to reusable cups. Bottled water — Install a water filter on your tap or pick up a water jug with a filter. Non-rechargeable batteries — Make the investment for rechargeable batteries and you’ll save money in the long run. Electric can openers — Use a little muscle. Single-serving pudding or yogurt cups — Buy a large container of yogurt or make your own pudding, and send it in a reusable container. 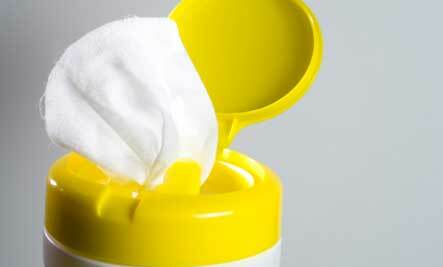 Antibacterial wipes — If you must, use a gel hand sanitizer. Disposable table cloths — Spills are a reality of life; just clean them up as they happen. Facial tissues — Unless you have a bad cold, a handkerchief will work just fine. Paper billing — Switch to e-billing for your bank statement, credit card bill, utility bill, etc. Plasticized sticky notes — Use the original paper sticky notes; they can be recycled when you’re done with them. I would add credit cards to this list, personally I used to be addicted but now simply rely on the odd loan from sites like this https://www.simplepayday.co.uk/bad-credit-payday-loans/ they see me through when I dont have cash and I don't have burdeness charges accumulating every month. Just once I pay it back. Works for me great! I need my baggies....for freezing and damp products that need to be transported...ALSO...freezing in POTS waste space and use up my slim supply of pots into the freezer,and freezer paper sticks to wet things! I do most of these and I try to reuse/recycle of everything possible. Thank you Megan. We do most of these things, but I dispute 2 of them. #1 - I tried rechargeable batteries and they do NOT hold a charge. I have tried 2 different name brands, and no luck with either one. #2. - I do not want to give up Paper billing. My other computer just crashed, so all my info was on there. Now, I had to call for info on all of our bills, and banking info. it is a huge mess! This is cool. There were some things I hadn't considered in this post. How much electricity, water, detergent one needs to wash the reusables? Or, maybe one with a full time job is expected to do the hand washing with ash? Reusable pampers? The author never had a bed-ridden adult in her care, right? Not all the achievements of civilization are any good, some are necessary. Flexibility of the mind on the subject is advisable.